Named after the great 18th century actor-manager David Garrick, the 656-seat Garrick is a fantastic piece of late Victorian Kitsch. The interior design of the theatre is somewhat reminiscent of the a renaissance palace, cupids and laurels paired with mouldings and classical statues. The theatre is situated in the heart of London's West End close to major tube stations and car parks. Sir Kenneth Branagh and a sparkling handful of British stars are coming to the Garrick theatre. Together, they'll present a very special season of theatre that you can't afford to miss. 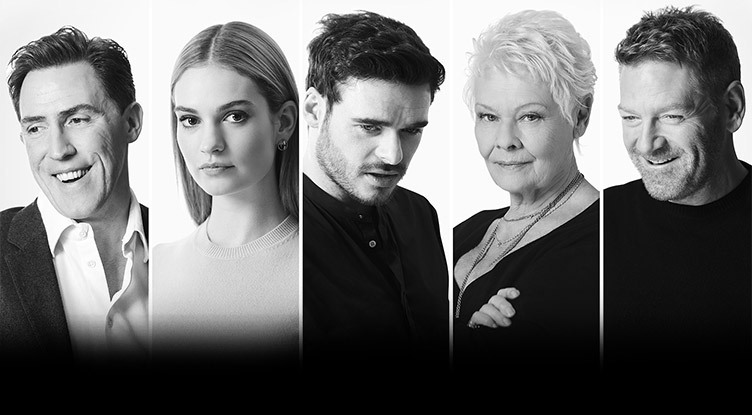 Dame Judi Dench, Lily James, Richard Madden and Rob Brydon will all perform in an incredible selection of beloved and rarely-seen plays which will no doubt sell out long before opening night. Book early to secure your spot in the audience. Shakespeare's The Winter's Tale is a tragic comedy choc full of drama, madness and mistaken identity. This hotly-anticipated new production features an incredible cast including Dame Judi Dench and Kenneth Branagh, and will run for a strictly limited season at the Garrick Theatre. Ticket and hotel packages now available. Theatre fans will adore this side-splitting glimpse behind the scenes of a company as they attempt to put on a duo of Shakespeare productions. Ticket and hotel packages now available. Two men. Two hotel rooms. One adjoining door. This simple setup quickly escalates into a farcical comedy which has been described as a 'comic-tour-de-force'. Ticket and hotel packages now available. Perhaps one of the best-known and widely-adored plays of all time, Romeo and Juliet tells the story of two young lovers who come from the feuding houses of Montague and Capulet. As the couple struggle to hide their relationship, tensions build to fever pitch, leading to murder, revenge and a heartbreaking tragedy. Ticket and hotel packages now available. Written at the request of Laurence Olivier, The Entertainer has since become a celebrated work that blends domestic family life with the seedy world of music hall. Kenneth Branagh leads the cast as Archie Rice in this black comedy that has become a celebrated classic. Ticket and hotel packages now available. The theatre was built in 1889 for the playwright W.S.Gilbert , the author of the Savoy Operas and named after the 18th Century actor and manager David Garrick. The theatre opened that year with a showing of the play, The Profligate by A.W.Pinero. The Garrick Theatre was almost destroyed in 1934 when plans were developed to convert it to a 'Super Cinema' but luckily, these plans were scrapped and the theatre remains intact today. London's Garrick Theatre was originally designed by Walter Emden with CJ Phipps brought in as a consultant to help with the planning. The site was tricky to build on at first as it was situated on a site which included an underground river. The build included deep excavations in order to allow the Dress Circle to be level with the streets outside. Primarily, the theatre was designed to hold 800 people over four levels, but the gallery (the top level) has since been closed to make the total volume 656. The Gold Leaf auditorium was restored in 1986 by the stage designer Carl Toms and the front façade received a face lift in 1997. The Garrick Theatre in 2010. Image source. 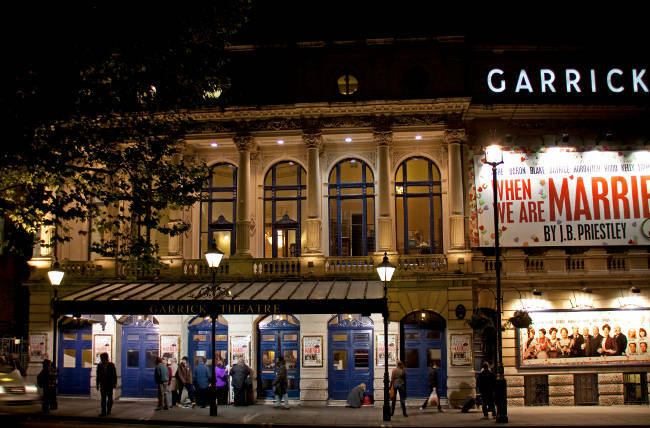 The Garrick Theatre has ramps for chair users, disabled toilets and spaces for three wheelchairs in the dress circle. The theatre also has infra-red headsets for the hard of hearing.